Hello everyone. 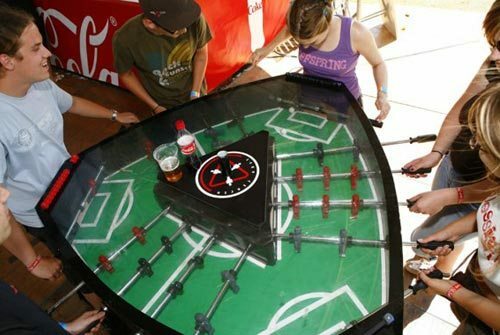 I’ll keep this post short and sweet to show you a foosball table that is not of the typical type. This type of table can be played in 3 groups consisting of 4 people where one group competes to defeat the other group to score as many goals as possible. If you like this image, feel free to share on social media and add anything you would want to say in the comments box below. I look forward to hearing what you have to say, and I’ll see you again in the next post. Cheers!